Imida participated in the Life+ 2013 projects in Spain and Portugal kick-off meeting. 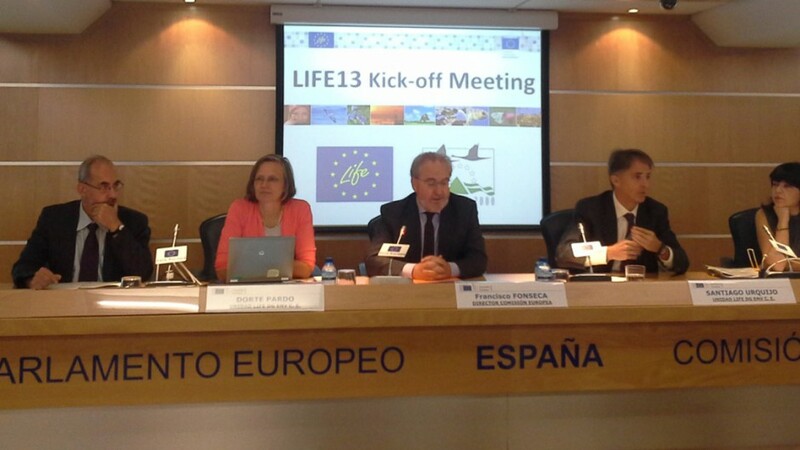 On 9th September, the Regional Kick-Off Meeting for LIFE+ 2013 projects was held in the European Commission’s Representation Office in Spain (Madrid). IMIDA participated in representation of its new AQUEMFREE project. Members of approved projects from that call participated in the event and a presentation was made by representatives of the European Commission and Ministry of Agriculture, Food and Environment as well as the support team coordinator. An introduction to the programme was given (players, support team, administrative and financial management, advertising and publicity, action and events). A round of presentations of the different projects, organised into themes, was also given with the aim of promoting knowledge exchange and providing an opportunity for linking projects with common aims.